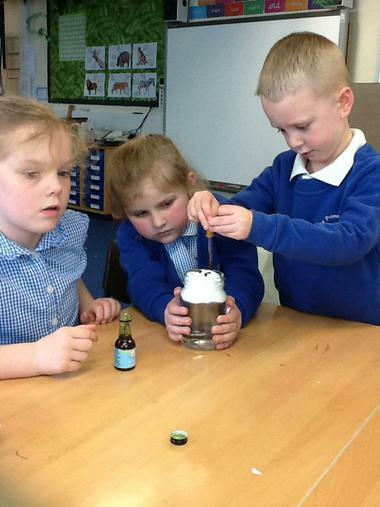 WOW..we started our first STEM session with making rain cloud in a jar. 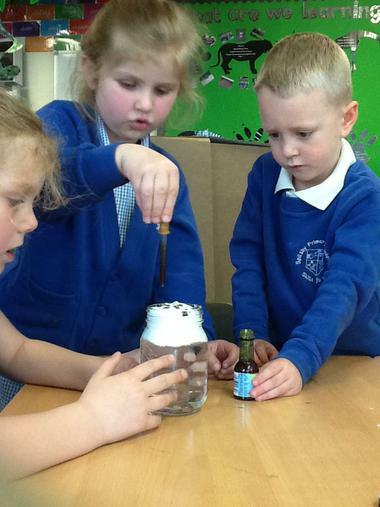 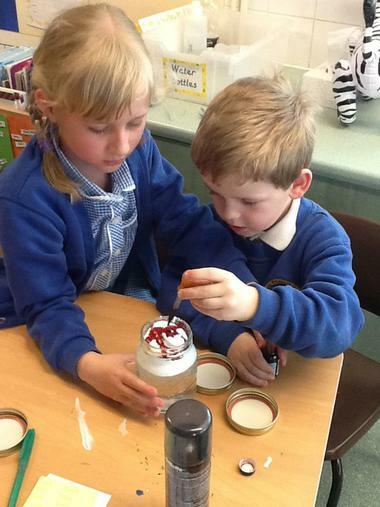 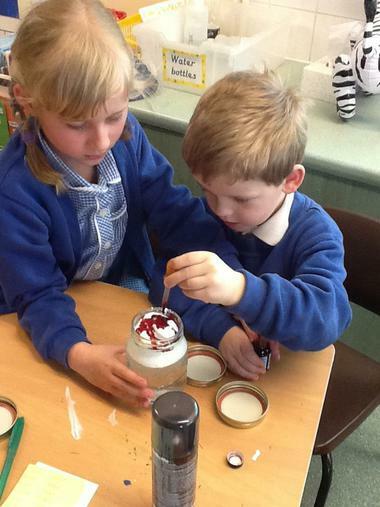 We used water in the bottom with shaving foam on top which acted as the cloud. 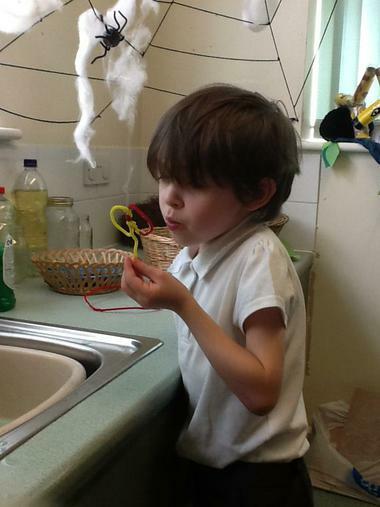 We then used a pipette to drop in food colouring, we soon saw that when the cloud got so full it began to rain. 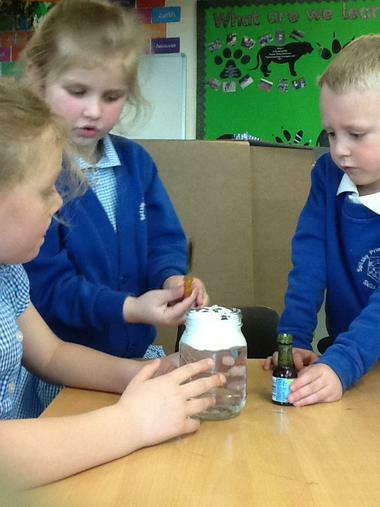 We even talked about evaporation, if you see us, ask us what it means! 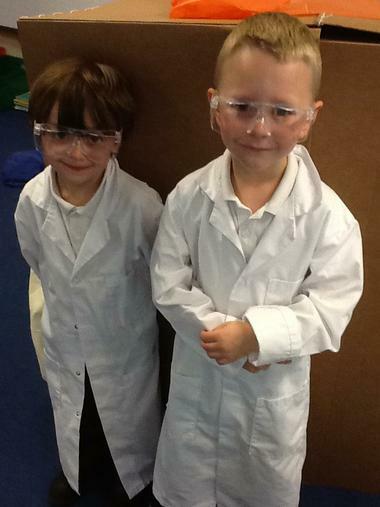 This week we started by choosing our 2 scientists of the week. 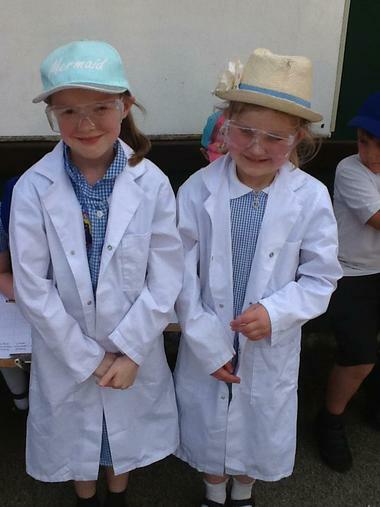 Leah and Ruby helped set up the experiment for the rest of the group. 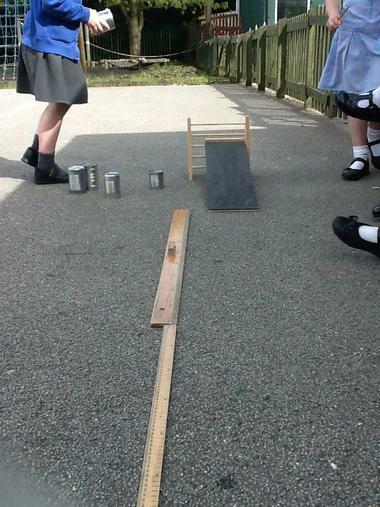 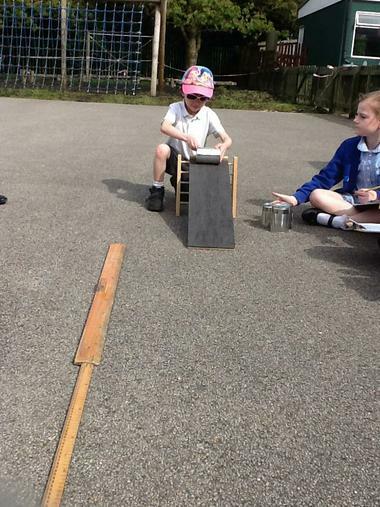 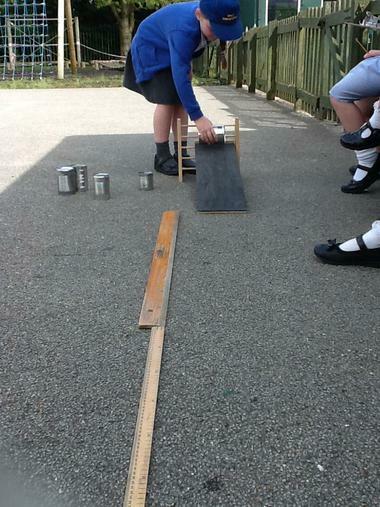 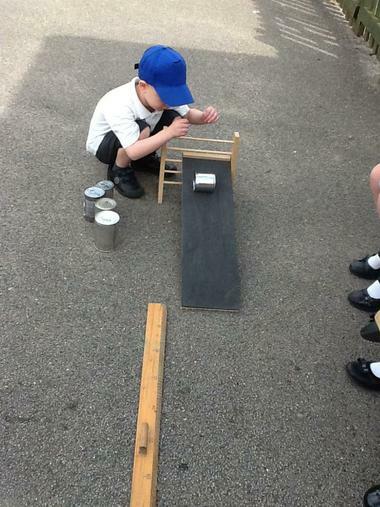 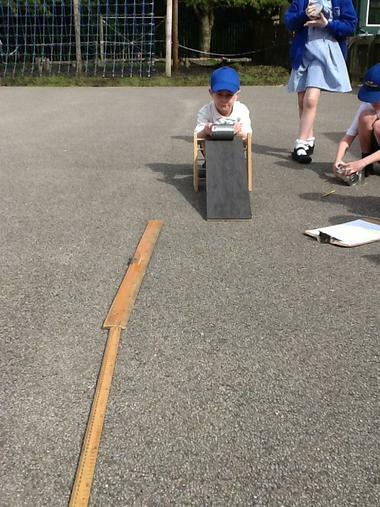 We used tins of different weights and a ramp. 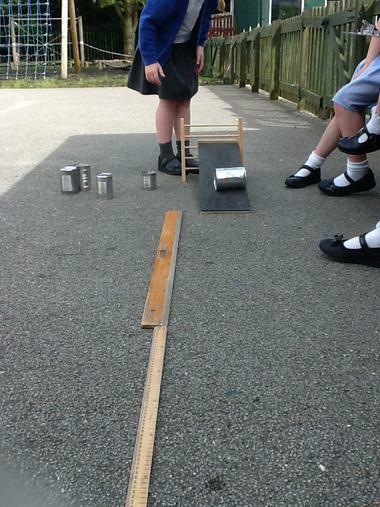 We first looked whether the weight of the tin had an impact on how far it rolled and recorded our results. 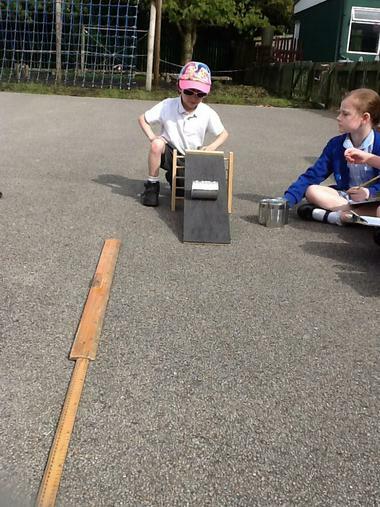 Then we had a go at changing the ramp height and saw what this did too! 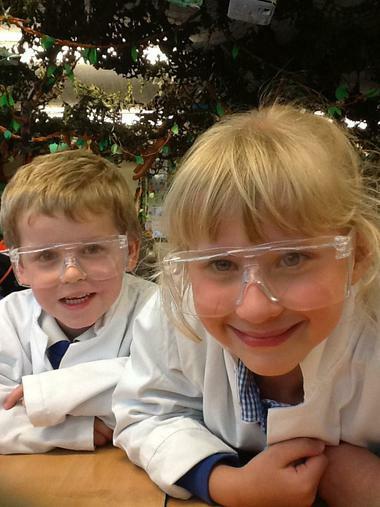 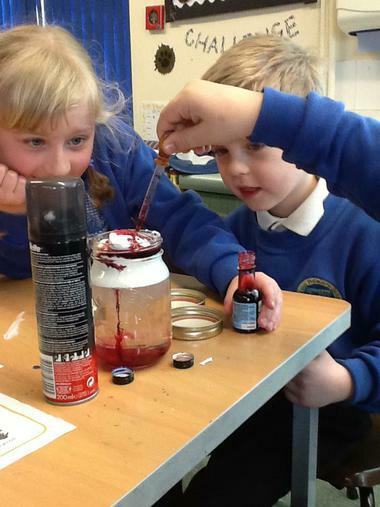 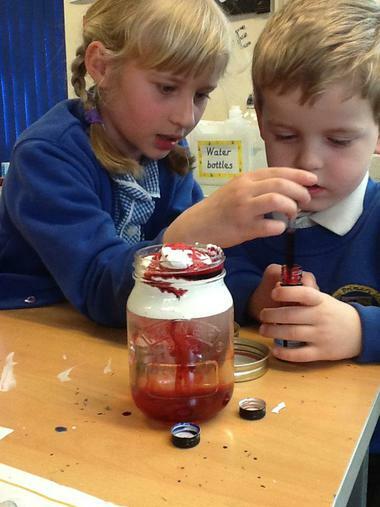 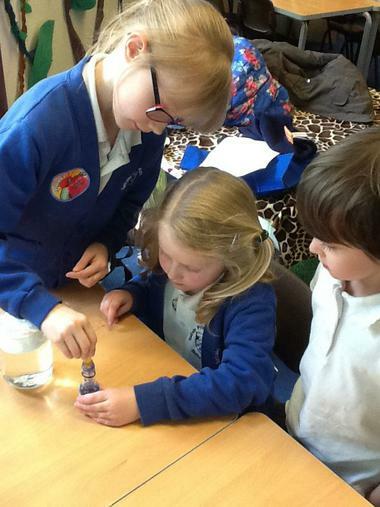 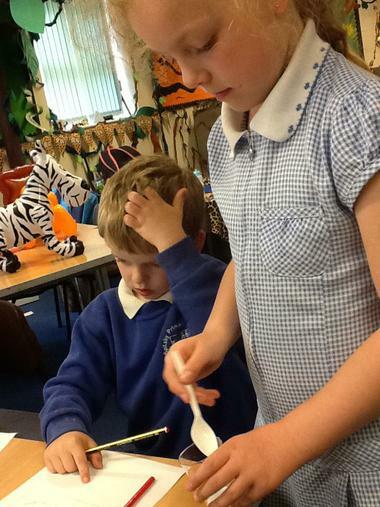 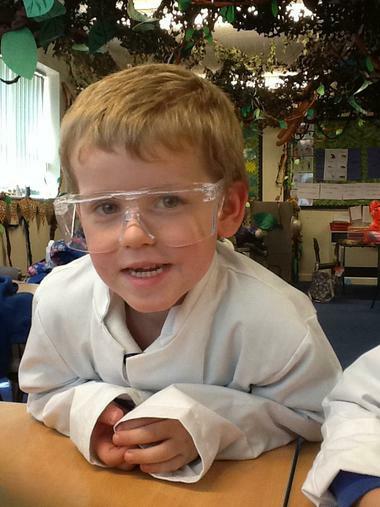 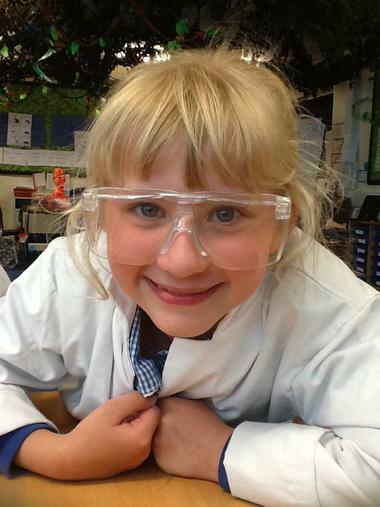 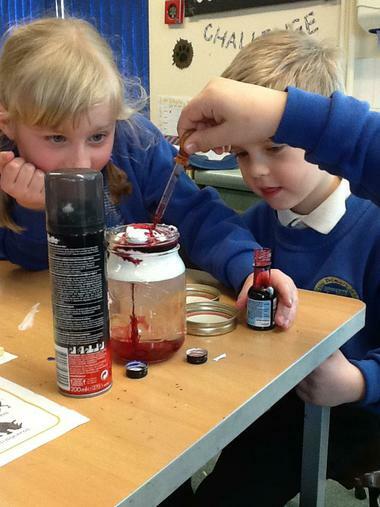 This week Aayden and Billie were our super scientists. 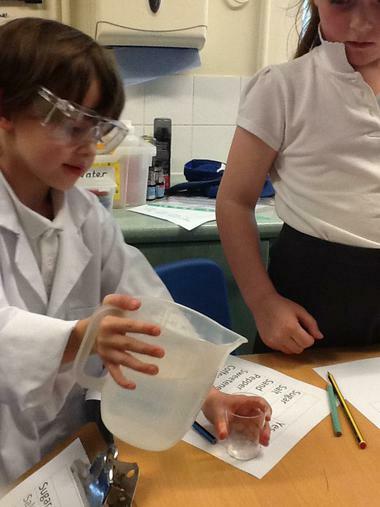 We investigated dissolving and know that this means it disappears in water. 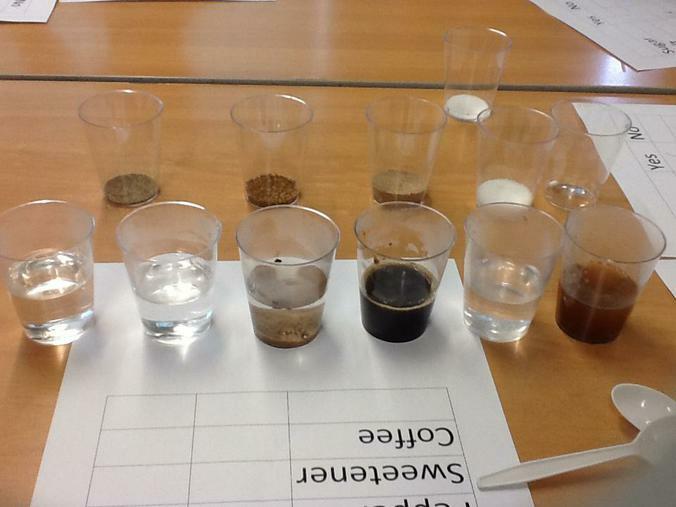 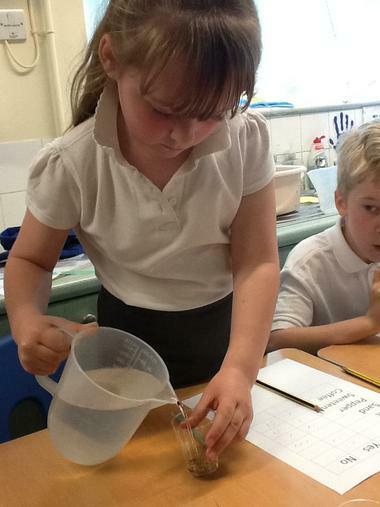 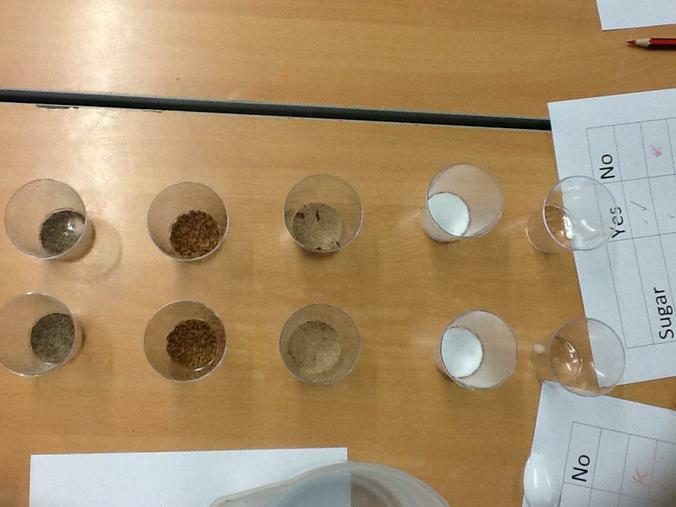 We tried mixing some solids into hot and cold water and recorded what happened. 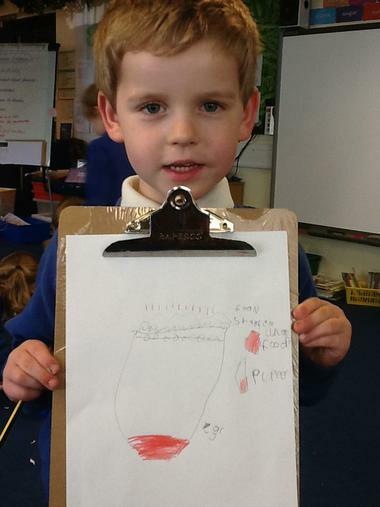 We even talked about the words reversible and irreversible, well done! 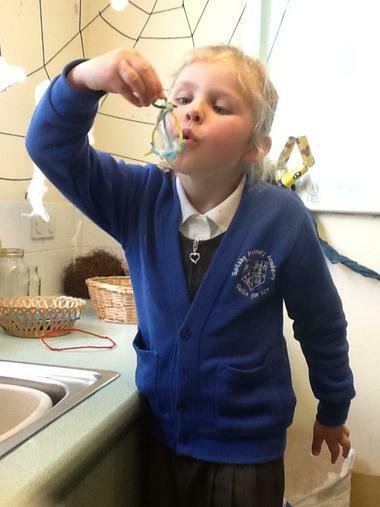 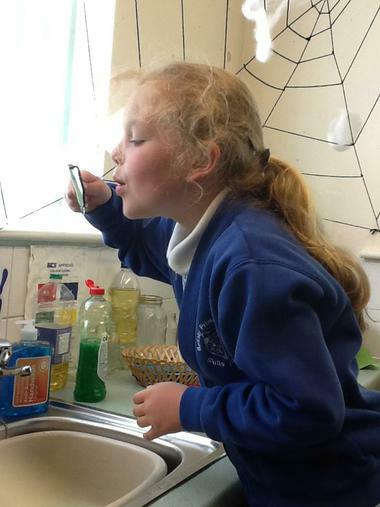 This week we have been investigating bubbles. 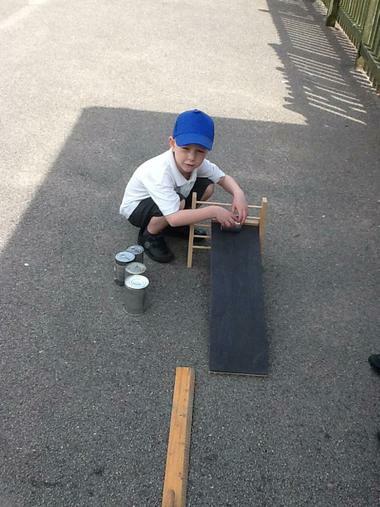 Can you change the shape of them? 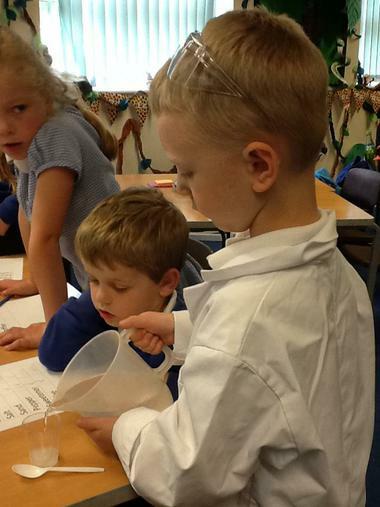 Can you change the size of them? 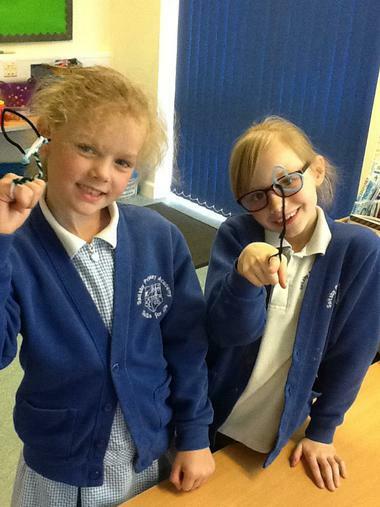 Can you change the colour of them? 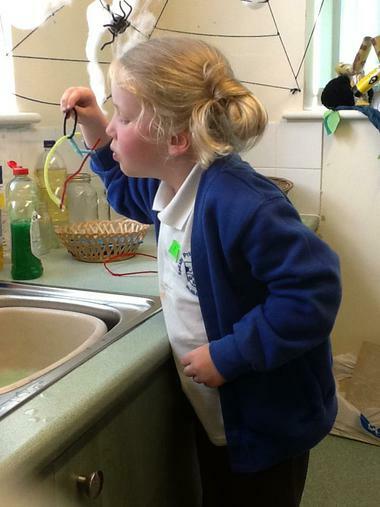 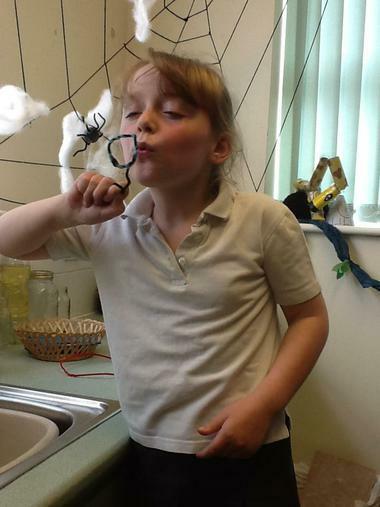 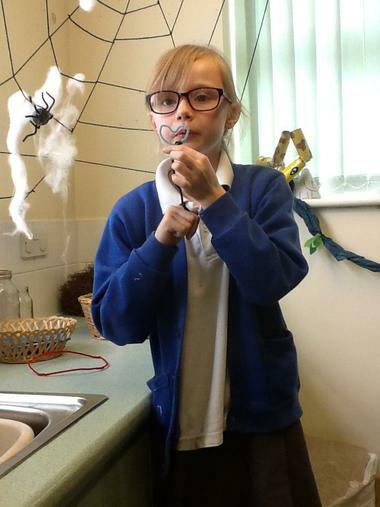 We used pipe cleaners to make our bubble blowers, ask us if they worked!